When it comes to safety, everyone wants what’s best for their children. And while Australia’s safety record for children in cars has traditionally been quite good, this is an area where there’s always room for improvement. In particular, car seats are an item that you don’t want to take any risks with. To help ensure your little angel is safe and secure we’ve compiled this list of Australian cars with ISOFIX. ISOFIX is a universal product standard used for safely attaching child safety capsules in cars. Is ISOFIX legal in Australia? Yes. In September 2014, ISOFIX was legalised in Australia. Australia was a late adopter of ISOFIX. Despite it being used in North America and Europe since the mid-2000s, it was illegal to sell or use ISOFIX capsules in Australia until September 2014. How do I know if my car has ISOFIX? If you can’t find your car on this list and want to check for yourself whether it has ISOFIX fittings, you have a few options. Firstly, you should always check your car’s user manual, which will usually specify whether the vehicle contains ISOFIX fittings. Failing this, you can also try asking at the dealership when you purchase your car, as they will often have this information. If you already own a car and aren’t looking to upgrade, when purchasing an ISOFIX car seat you should ask if it will be compatible with your vehicle, as many sellers will keep a list of compatible vehicles. What are the benefits of ISOFIX? 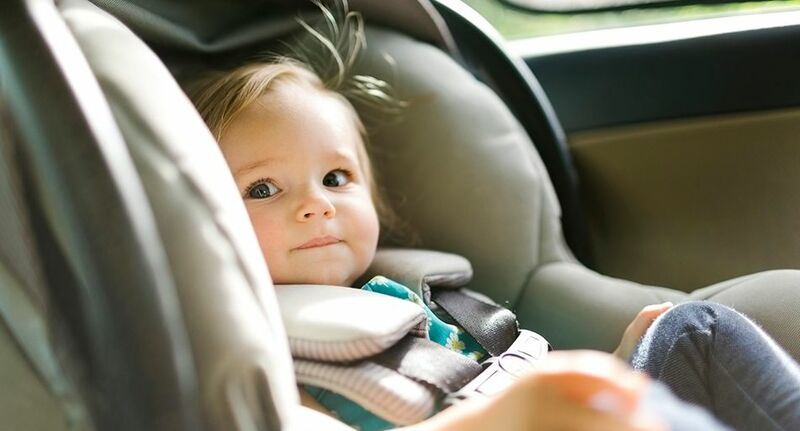 Prior to ISOFIX being legalised in Australia, a study by the Monash University Accident Research Centre found that 88% of forward-facing car seats were incorrectly installed in Australia, as well as 67% of infant seats and 63% of booster seats . According to the study, some of the most common mistakes were: twisted seat belts, straps being either twisted, out of position, or incorrectly routed, missing/incorrectly fitted buckles and clips, and using the wrong sized restraint . These statistics will give any parent nightmares. Accordingly, the main benefit of ISOFIX is how easy it is to install. Unlike other car seats, ISOFIX uses a ‘clip in’ system, which basically means that it’s either attached or it’s not – there’s little margin for error. Usually, all you need to do is clip the ISOFIX clasps into the corresponding clasps on your car seat, although you should always consult your installation manual for more detailed instructions. Unless otherwise stated, all ISOFIX positions listed below are located in the vehicle’s rear seats. Remember, the Mandatory Standard for Child Restraints for Motor Vehicles in Australia stipulates that up to the age of four, it is illegal for children to sit in the front seat of a vehicle . This is because it is generally considered safer for young children to travel in a vehicle’s rear seats. Babies up to the age of 6 months must sit in a rear-facing seat, and it is recommended that even above this age children continue to sit in a rear-facing seat until they outgrow the seat. Children above the age of four are allowed to travel in the front seat if they’re fitted in a booster seat, although for safety reasons it is recommended that they continue to travel in the back seat. Failure to comply with these laws may result in fines of up to $500 and loss of up to 3 demerit points . Further, in contrast to Europe and North America, Australian Design Rules stipulate that ISOFIX capsules must also be held in place by a top-tether restraint, so it’s important to be aware of this when fitting an ISOFIX capsule in your vehicle . Note: While we have endeavoured to make this list as comprehensive as possible, it is possible that we may have overlooked some cars that are ISOFIX fitted. This list should be taken as a guide only. You should always check your vehicle’s user manual to confirm whether it is ISOFIX compatible.